The one and only choice for your outdoor catering needs. Our farm has been in the family for over 40 years and Lilwalls Hog Roasts was established in 1994 in the aim of providing a delicious and exquisite addition to any event you are catering for. Based in Norwich, we have worked throughout Norfolk, from Great Yarmouth to King's Lynn. Once prepared, all cooking is done on-site, offering both a visual and edible treat. 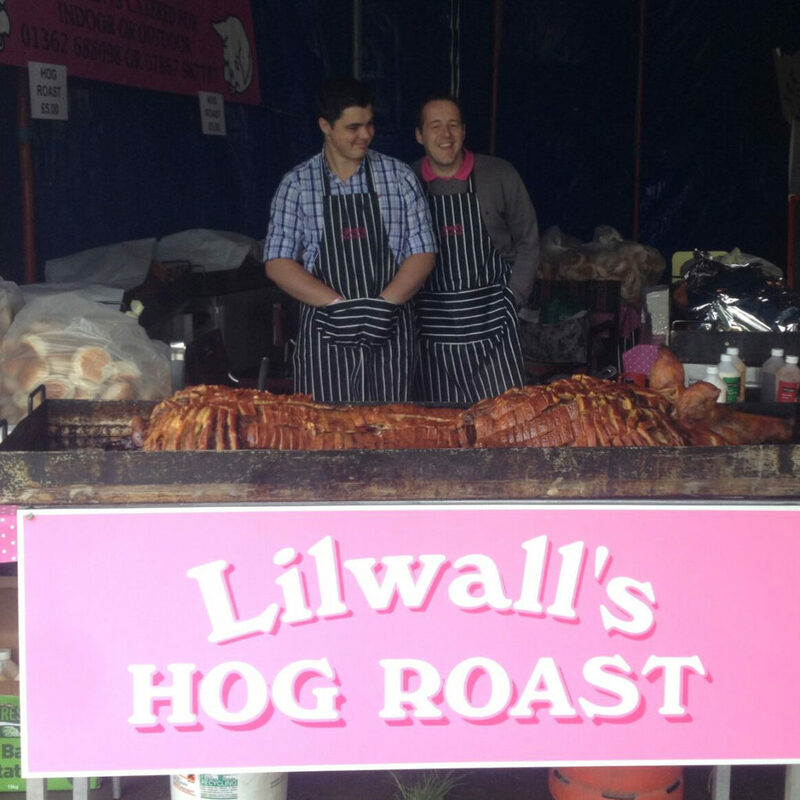 For professional, reliable and trustworthy caterers for your event, call Lilwalls Hog Roasts today. With both indoor and outdoor catering available all year round, we can set up and supply our hog roasts at short notice, along with more extensive catering services for more people if necessary. We pride ourselves on offering a highly personal service with 100% customer satisfaction being our main aim. Using home bred and reared pigs combined with our specialist and skilled staff we can guarantee you will come back for seconds every time. Why Lilwalls Hog Roasts is the best choice for your event? With full public liability insurance, you can be sure all our spits and equipment comply with the latest health and safety guidelines. Using our own ingredients ensures that every bite will taste just as good as the last. To see what our customers think of our hog roasts, please visit our testimonials page and see why we are the best choice for your event.